Boulder received a beautiful Spring snow this past week. Deep, heavy, spectacular and badly needed as we’ve had precious little snow at this elevation for the Winter. True to our local weather pattern the storm quickly moved out to the Eastern Plains and sunshine with temperatures in the 50s then 60s followed. Spring snow means we’ll likely have nice vegetation by our roads & trails into the Summer and Fall months. It also provides a great opportunity for Fat Biking on snow, especially at higher elevations. 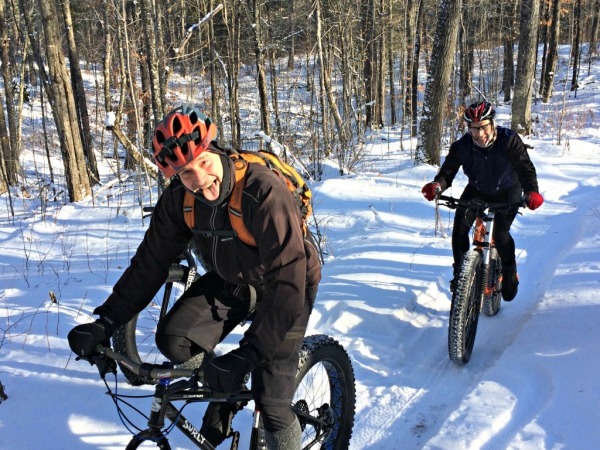 Fat Biking is really catching on in our area and it’s a blast! We’ll be glad to give you advice on how to do it yourself or take you out on a Fat Bike tour.